Soon, you’ll be able to help raise funds for Mesa County Libraries just by opening a bottle of wine to enjoy. The Mesa County Libraries Foundation is launching Well Read, a specially branded red wine produced by Grande River Vineyards, with a special launch party set for 5:30-7:30 p.m. Thursday, May 17, 2018, at Grande River Vineyards, 787 N. Elberta Ave. in Palisade, just off I-70 exit 42. The launch party is open to the public, and admission is free. A portion of the sale price of each bottle of Well Read will benefit the Foundation, a 501(c)(3) nonprofit organization that raises funds to benefit Mesa County Libraries. The Foundation supports capital projects, special events, and other special projects of the library. 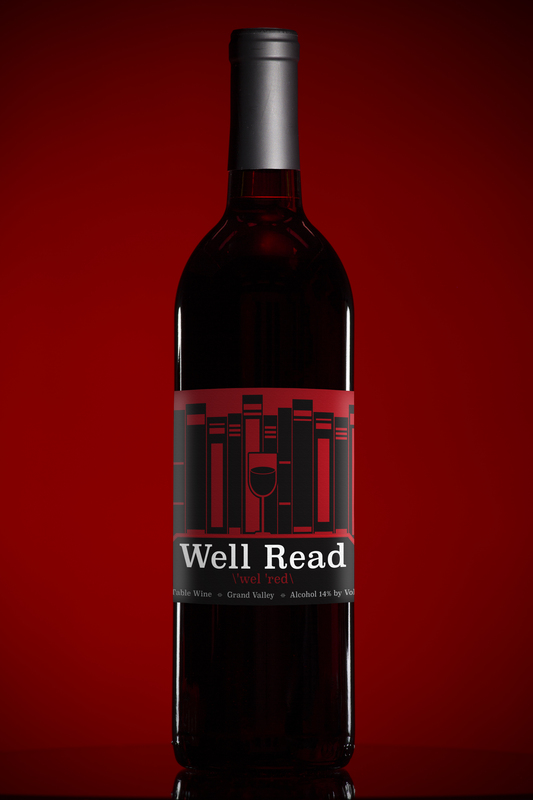 Well Read will be available for purchase at Grande River Vineyards beginning May 17. Read The Daily Sentinel’s coverage of Well Read here! The Mesa County Libraries Foundation will present Ralph Dinosaur and the Fabulous Volcanoes in concert the evening of Saturday, June 30, 2018, at Grande River Vineyards. The outdoor show kicks off the winery’s annual summer concert series, Hear It Through the Grapevine, and happens during the annual Colorado Lavender Festival in Palisade. Gates open at 6:30 p.m., with the show starting at 7:30 p.m. Tickets are $15 in advance and $20 at the gate, and they are available online through granderiverwines.com or in person at Grande River Vineyards, Fisher’s Liquor Barn, and Roper Music. Children 12 and under are admitted free. Food, wine, soda, and bottled water will be available for purchase. No outside beverages are allowed. Bring a chair and a picnic, but please leave pets at home. And yes, Well Read will be available at the concert!